The Defense Information Systems Agency (DISA) has selected TELEGRID as a vendor in its Software Defined Networking (SDN) Use Case Proof of Concept. TELEGRID’s contribution is its advanced Traffic Flow Security (TFS) device which secures the network’s control and data planes. TELEGRID’s TFS device enhances the cybersecurity profile of the network at Layer 2 and supports deployment with Commercial Off The Shelf (COTS) encryptors. This provides network architects with many benefits including the use of low cost COTS encryptors while ensuring that the network conforms to Department of Defense (DoD) cybersecurity requirements and standards. The device can be tailored to a variety of network speeds including 10 Gigabit Ethernet. TELEGRID’s TFS device highlights the company’s historical focus on developing advanced technical solutions to fill gaps between DoD needs and COTS offerings. 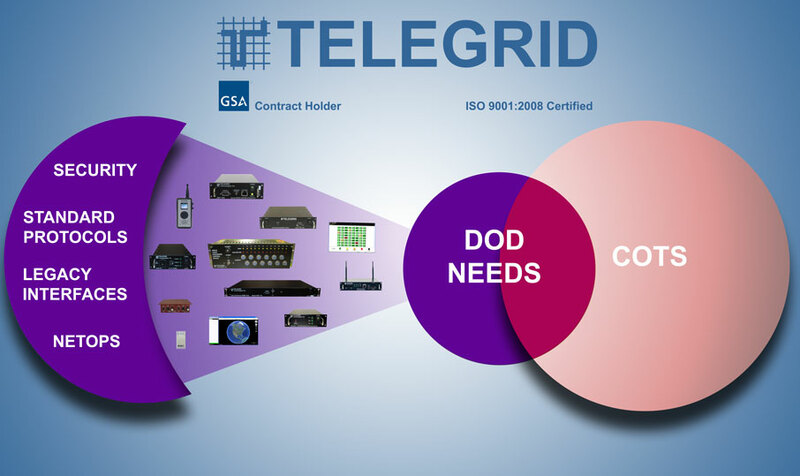 TELEGRID’s solutions reflect a unique understanding of DoD requirements and an awareness that some COTS products offer more than what a customer wants but not enough of what they need. If your network architecture requires specialized security interfaces, protocol standards conversion, or a unique NetOps tool please email us at sales@telegrid.com. Visit us at the AFCEA Defensive Cyber Operations Symposium on June 16-18 at the Baltimore Convention Center to discuss TELEGRID’s participation in DISA’s SDN Use Case Proof of Concept. TELEGRID engineers will be in booth 5060 to discuss ongoing work with DISA including NetOps tools for managing cryptographic equipment, secure management interfaces for Layer 2 switches, and Traffic Flow Security devices.